To navigate in our web site without any problems, we advise to use windows internet explorer. Vitesse Re-SkillingTM Canada Inc. is an independent, not-for-profit organization created to provide cost-effective solutions to meet the dynamic skills needs of the emerging and growth-oriented knowledge-based sectors. The program was started in Ottawa to provide industry with software-engineering resources by Re-Skilling under-employed or unemployed science and engineering professionals. It has since expanded to include additional co-op based individualized training solutions for fields such as photonics, bioinformatics, microelectronics, and wireless communications as well as green construction technologies. Vitesse also offers workplace adjustment and enrichment programs for new and existing knowledge workers creating a training model built on the premise of a comprehensive skill continuum. The next LEED� (Leadership in Energy and Environmental Design) workshop to be offered at Vitesse�s facility in Ottawa is fast approaching. LEED for Building Design and Construction is a globally recognized third-party building certification system for the design, construction and renovation of high performance green buildings. This LEED rating system initially developed by the US Green Building Council (USGBC) is now used worldwide. Its purpose is to provide independent verification of a real estate or building project�s degree of resource efficiency. PURPOSE OF THE WORKSHOP: To help people understand the LEED rating system used for Building Design, Construction and Major Renovations. This workshop will also prepare those participants who want to write the LEED GA and/or the LEED (BD+C) exam. Passing the LEED exams provide professionals with the credentials required to participate in LEED certification projects. CONTENTS: Detailed coverage of LEED v4 Design and Construction rating system. DELIVERY MODE: In-class instructor led and on-line in real-time. WHO SHOULD ATTEND: Engineers, Architects, Building Owners and Managers, Developers, Energy Managers, Urban Planners, Environmentalists, and individuals wishing to be educated about LEED and/or to write the exam to become either a Green Associate or a LEED Accredited Professional (AP). -- By using automated event manager; click here. Ray Barton at 613-254-9880 ext 223. Ms Benjamin is a LEED Accredited Professional (AP) and an award-winning consultant with over fifteen years of work experience in the areas of energy and sustainability programs in the US and Canada. � Vitesse Re-Skilling is now taking applications for its Environmental Career Focus Program. � Program starting on February 11, 2013 (9 am � 4 pm). � The program is a seven-week full time (9 am�4 pm) program followed by an eight week work placement. NOTE: This is not a technical training program. The program consists of classroom training and work experience. The work experience component is approximately 8 weeks in length starting in April, 2013. N.B. ECO Canada and Vitesse Re-SkillingTM Canada are NOT placement agencies. There is no guarantee that program participants will obtain a work placement. The purpose of the program is to gain the skills and knowledge required for participants to seek employment-related opportunities in a supported and guided environment. � Complete the application process by emailing your Canadian Language Benchmark (CLB) results and an updated resume to the above mentioned contacts. � Please note that Vitesse Re-SkillingTM Canada will require you to do an in-person interview if you are chosen as a finalist. The EIB Program is being delivered by Vitesse Re-Skilling Canada. 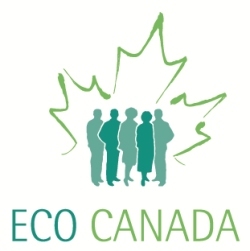 Course curriculum was developed by ECO Canada. LEED� (Leadership in Energy and Environmental Design) is a globally recognized third-party building certification system for the design, construction and operation of high performance green buildings. The LEED rating system is administrated by the Canada Green Building Council (CaGBC) in Canada. Its purpose is to provide independent verification of a real estate or building project�s degree of resource efficiency. Areas covered include energy and water efficiency, indoor air quality, emissions, proximity to mass transit, use of recyclable materials, renewable energy, etc. PURPOSE OF THE WORKSHOP: This workshop is designed to help people understand the LEED rating system in detail and take the necessary LEED exams if they like. Passing the LEED Exam allows professionals to have the required LEED AP designation to work in a team for certifying buildings. WORKSHOP DELIVERY MODE: In-class instructor led and on-line in real time. WHO SHOULD ATTEND: Engineers, Architects, Building Owners and Managers, Developers, Energy Managers, Environmentalists, and individuals wishing to be educated about LEED and/or to write the exam to become either a Green Associate or a LEED Accredited Professional (AP). For registration in person or by cheque, please contact leed@vitesse.ca or call the office at 613-254-9880. � Dans combien d�ann�es vais-je r�cup�rer mon investissement en efficacit� �nerg�tique. Dr Benjamin is an energy specialist with a vast experience in managing sustainability and energy conservation projects in the public and private sectors. Dr Benjamin is currently working as energy specialist for the US Navy. Dr Benjamin est sp�cialis�e dans le domaine de l��nergie et poss�de une vaste exp�rience dans la gestion de projets de d�veloppement durable et de conservation d��nergie dans les secteurs publics et priv�s. Dr Benjamin travaille pr�sentement comme sp�cialiste en �nergie pour la marine am�ricaine. Vitesse Re-Skilling is now taking applications for its Environmental Career Focus Program. The program is filling up quickly, however registrations are still being accepted and the deadline for applications is February 3, 2012. Program starting on Monday February 13, 2012 (9 am � 4 pm). The program is a seven-week full time (9 am�4 pm) program followed by an eight week work placement. The work experience component is approximately 8 weeks in length starting in April, 2012. Please note that Vitesse Re-SkillingTM Canada will require you to do an in-person interview if you are chosen as a finalist.  Win a chance to receive a free audit of your home!  Courrez la chance de gagner une �tude �nerg�tique gratuite de votre demeure! Gain in-depth knowledge of the Android framework and architecture. Learn how to build a fully functional dynamic Android app. Learn how to use Eclipse to create, debug and manage an Android application. Students should have programming experience in a OO language such as Java, C# or C++. Android uses the Java programming language. A set of course notes and tutorial. Vitesse Re-Skilling Canada delivered a Career Planning event at Algonquin College on February 22 for high school students in Eastern Ontario wanting to specialize in the environment. The program was coordinated through the Partnering to Assure Student Success (PASS); and supported by the Ministry of Education and the Ministry of Training, Colleges & Universities. PASS is created by Ministry of Education as the planning team for School-College-Work Initiative and consists of Vitesse, all the school boards and public colleges in Eastern Ontario and OCRI (Ottawa-Carleton Research & Innovation). The Career Planning event was a full day seminars, visits, and discussion panels. More than sixty students, many school teachers, several college professors and some representative from Vitesse and environment industry participated in this career discovery day. Vitesse Re-Skilling Canada partnered with and assisted Information and Communications Technology Council of Canada (ICTC) in the development and pilot execution of the new Work Experience Program for Internationally Educated Professionals (IEPs). On March 28, 2011 Vitesse Re-Skilling along with other partner organizations were recognized at a public event in downtown Ottawa for their contribution to the Internationally Educated Professional Work Experience Program ICTC has developed. The program is funded by the government of Canada. Of special significance are the Language Self Assessment tools ICTC has made available on their web site at www.ictc-ctic.ca. Vitesse Re-Skilling Canada in partnership with the International Society for the Safety Science (ISSS) offered an event on health care and hospital safety for the participants in Canada and Europe on April 7, 2011. Utilizing Vitesse�s eLearning & Collaboration Platform supported by Blindside Networks, professionals from different locations and different countries attended to the session. Vitesse is helping and advising ISSS on distance education and the organization�s transformation in utilizing eLearning. Vitesse in partnership with the Ontario Society of Professional Engineers (OSPE) is coordinating an event for April 15, 2011 to have an all parties candidate event where issues specifically regarding hi-tech, the economy as it affect engineering is discussed. The time and location will be announced very soon. Vitesse is offering a 3-day training workshop on LEED� (Leadership in Energy and Environmental Design). This workshop is based on the latest Canadian LEED rating system recently introduced by the CaGBC specifically: LEED Canada New Constructions and Major Renovations (NC) 2009 and LEED Canada Core and Shell Development (CS) 2009. Next workshop to be announced soon. Vitesse-OTI �s unique PMP Proficiency Program � is a three-month, part-time program for project managers planning to take the Project Management Professional (PMP) exam. On Wednesday June 16, 2010, Vitesse Re-Skilling delivered a Student Success Forum to the nine school boards of Eastern Ontario, as well as for Algonquin, Loyalist and St. Lawrence Colleges. A representative from the Ministry of Education was present. The Forum addressed a planning model for the delivery of programs under Ontario�s SCWI (School to College to Work Initiative) in line with the province�s �Students Success Strategy�. While SCWI has been in existence for thirteen years, there is a lack of a framework and architecture to define it in a systemic model. SCWI programs and activities have been defined and evolved over the years through formal directives. That means the related structures, components, mandates, principles, guidelines, priorities, and best practices, etc. are embedded into the descriptive communiqu�s and guidelines. The framework would define and architect all the components and main initiatives of SCWI, the purpose and scope of each one, and the relationship among them using a systemic approach and modeling tools. The methodology would show us how we can develop new programs and cover all aspects based on the real needs through a holistic approach mapped on the framework; the way Vitesse did through the Phase 13 of SCWI. During the forum Vitesse presented the basic models for program definition as well as some best practices in this regard. In addition, the other School-to-Work and School-to-College Bridging programs practiced in other provinces and around the world has been presented and discussed. The planning model put forth in the forum compared what is being offered in similar programs in the United States, Europe, Australia, and Japan so as to allow school boards and colleges to make an informed decision as to the future direction for the SCWI and Student Success programs. On Wednesday, June 2, 2010 Vitesse Re-Skilling has arranged with Plasco to provide Job Shadowing and hands-on experience to students from the Ottawa Catholic School Board. Students will be given the opportunity to become familiar with the details of a promising hi-tech approach for dealing with solid waste management while generating electrical energy to feed the local power grid. The students will be observing a real working environment. And arranged with Plasco, the high technology recycling plant, to provide Job Shadowing for ten Specialized High School Major students in the Environment specialization diploma. The students were given the opportunity to become familiar with the details of a promising hi-tech approach for disposing of solid waste collected from the curb sides in Ottawa. The Plasco process covers solid waste into electrical energy and feeds the local power grid. The students were surprised by the complexity involved in working with waste management and impressed with the innovative options Plasco provides for dealing with a major municipal problem of waste material. It should be noted the programs were delivered as part of and in collaboration with the PASS (Partnering to Assure Student Success) program. PASS consists of nine school boards in Eastern Ontario, three colleges including Algonquin, St. Lawrence, and Loyalist, OCRI and Vitesse Re-Skilling. PASS is funded by the Ontario Ministry of Education and the Ministry of Training, Colleges and University. On Friday May 28, 2010 Vitesse Re-Skilling provided an industry tour of the Lafleche Environmental Inc. of Moose Creek Ontario to students of St. Thomas Aquinas Catholic High School, Russell, Ontario. The Lafleche Soil Recycling facility was constructed in response to the Ontario Ministry of Environment�s goal to increase waste diversion from landfill through increased rates of recycling. Using microbes found naturally in our environment, the Lafleche biological treatment decomposes contaminants within the soil matrix, producing carbon dioxide (CO2) and water (H2O). The treated soils is reused on both residential/ agricultural and commercial/industrial properties�allowing Lafleche to provide its customers with a viable and environmentally sustainable alternative to disposing of hydrocarbon contaminated soil in landfill. Vitesse Re-Skilling provided an industry tour of the North Grenville Waste Water Treatment Facilities on Tuesday May 25, 2010 for students of St. Mike�s Secondary School, Kemptville. 40 Students and their teachers from Grade 9 to 12 attended. During the presentations and tour students became familiar with the technologies, equipment and processes involved in the city�s water treatment center. The harmful effects of untreated and polluted water has risen in terms of being problematic in countries around the world as well as Canada. This one-day activity focused on how waste water in urban areas is made safe and returned to the environment. Vitesse Re-Skilling. Canada is pleased to announce that it will sponsor and contribute to the success of Lead-to-Win (LTW), a program designed to help talented laid-off tech workers establish businesses in Canada.s Capital Region. Vitesse Re-Skilling. <?xml:namespace prefix = st1 /> Canada is pleased to announce that it will sponsor and contribute to the success of Lead-to-Win (LTW), a program designed to help talented laid-off tech workers establish businesses in Canada.s Capital Region. PASS is a student program for children in grades 7 to 12 in the Eastern Ontario region. It gives the students a chance to visit universities, colleges, research facilities, and industry partners to view a pathhway to professional occupations. The Ontario Internship Program is designed to support the transfer of highly qualified college and university graduates to companies involved in developing and commercializing innovative prodducts and services.